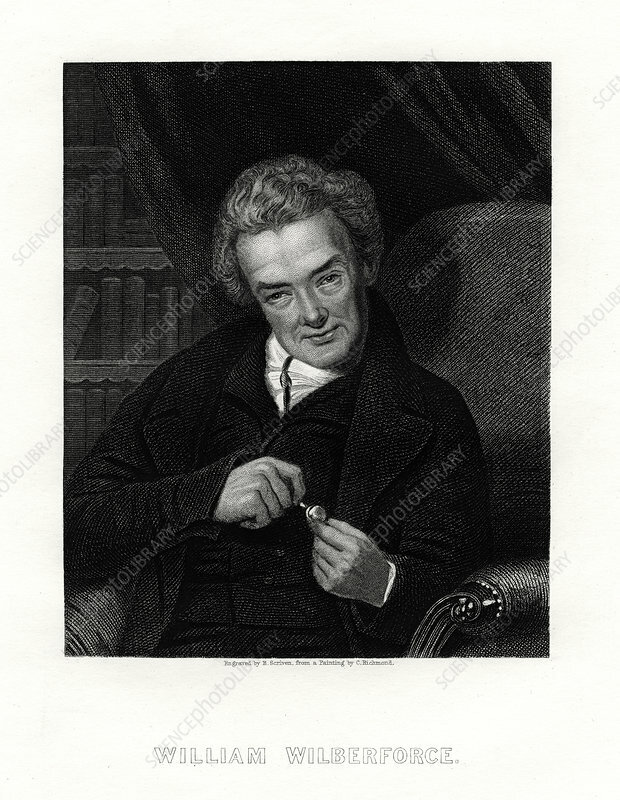 William Wilberforce, English philanthropist, evangelical Christian and anti-slavery campaigner, 19th century. Entering Parliament in 1780, Wilberforce (1759-1833) campaigned tirelessly for the abolition of slavery. His efforts contributed to a bill being passed in 1807 outlawing slavery in the British West Indies, and in 1833, a month after his death, the Abolition of Slavery Act was passed by Parliament. Wilberforce also campaigned on other issues, including penal reform and help for the destitute. Artist: E Scriven.